If the sound of a normal upright is just not enough, but your budget and space cannot handle a grand piano, this is the piano for you! 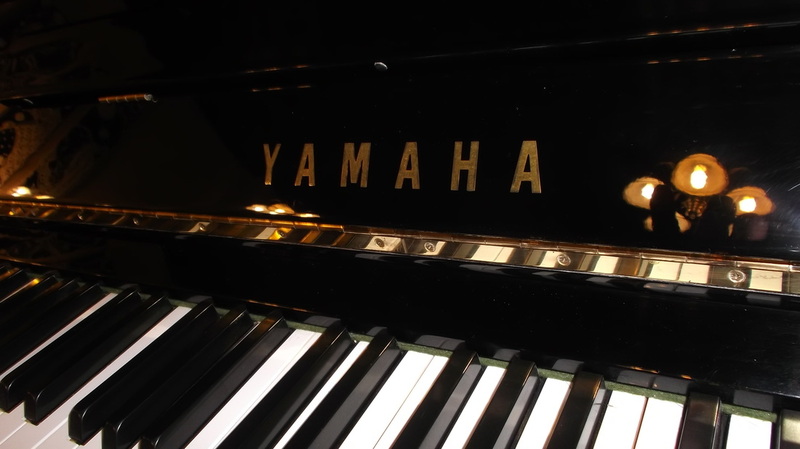 A full-sized upright, and the top of Yamaha's upright line, the U-3 is an excellent piano by any standard. This piano looks like new! It has been lightly used, the hammers and strings still are in fine condition, and it sounds very good! The cabinet is in excellent condition, polished ebony like a mirror all around. The matching bench is also in good shape. This is a super value for the discerning piano shopper! New U3s list at $13,969.00!